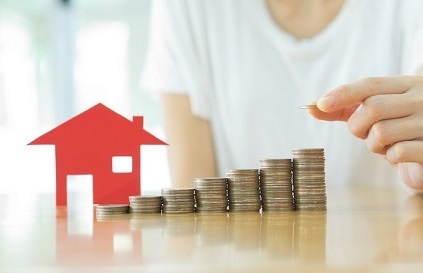 Estimates of home value by owners remained steady for the second straight month in September, with expectations barely overvaluing their homes on a national level, according to the Home Price Perception Index released by Quicken Loans. The index found that the average appraisal value in September was 0.29% lower than what the owner expected. This was consistent with August, when appraisals were 0.28% lower than owners estimated. Quicken Loans also found a 40% decrease in the number of metro areas where appraisals were more likely to be lower than expected over the last year. "A wide gap between the estimated home value and the appraised value can cause a mortgage to be reworked, or in some cases, scrapped altogether," said Bill Banfield, executive vice president of capital markets at Quicken Loans. "All the more reason for homeowners to be realistic when their mortgage banker asks them what they think their home is worth when they start the financing process. Our hope is that the HPPI data on past neighbor transactions can help a homeowner better estimate the value of their home in order to set their financing up for success." Quicken Loans also released the results of its Home Value Index, which revealed that home appraisal values rose 0.35% in September. The index, which is the only measure of home value change based solely on appraisal data, also found that home values posted healthy growth, increasing 5.69% year-over-year. "Rapid price increases that have spanned more than half a decade have started to affect affordability as average wage increases struggle to keep up," Banfield said. "While home values are still rising, especially with solid annual jumps, a slowdown in monthly growth is expected to allow the market balance with the more moderate inflation."